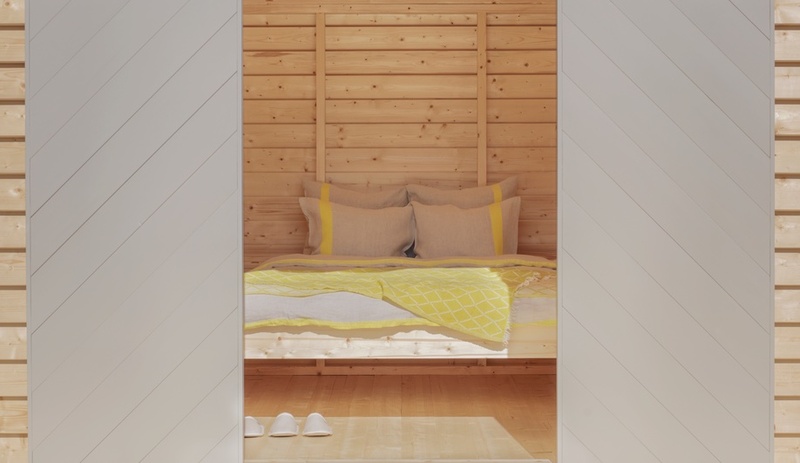 KOTI, a living installation opening this month at the Finnish Institute in Paris, invites guests for sleepovers in cozy pop-up cabins designed and outfitted by Finnish creatives. 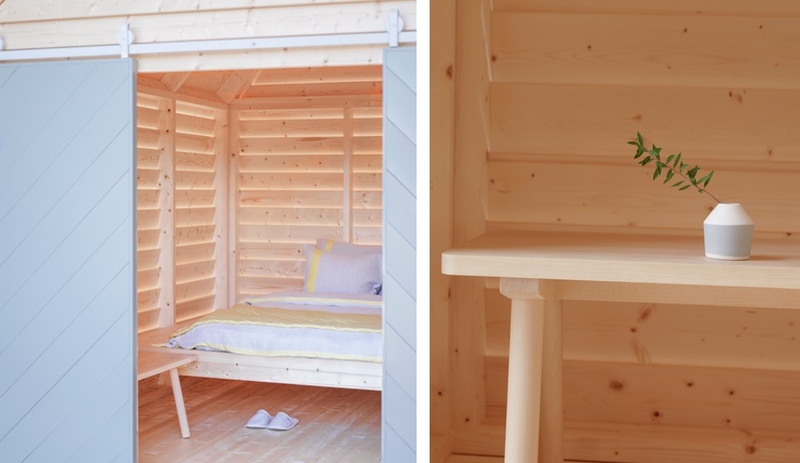 In celebration of 100 years of Finnish independence, Paris’ Finnish Institute will host 100 nights’ worth of sleepovers at KOTI, a new, habitable installation of six indoor cabins modelled after aitta, traditional Finnish cottages. 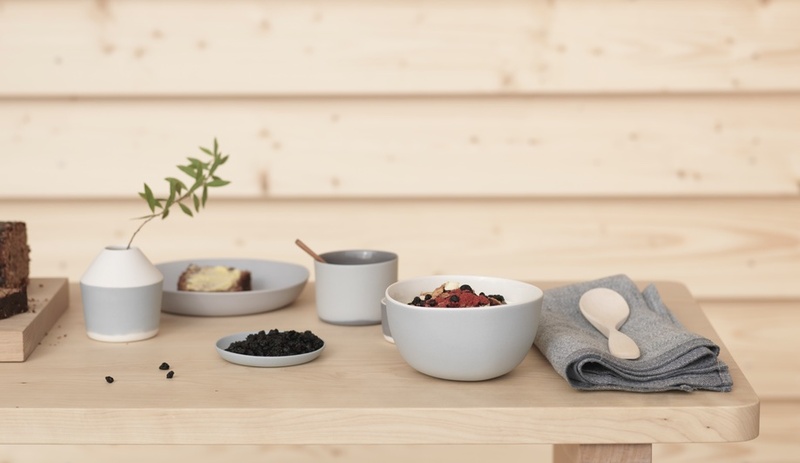 A collaborative design effort between Finnish architects, ceramicists, textile designers, and other creatives, the installation fuses design with the simple pleasures of a holiday in the Finnish countryside, and is intended to showcase the very best in Finnish hospitality while offering a genuine hygge (the Danish concept of living simply and cozily) experience. The cabins, which will take over one floor at the Institute and can sleep a total of 12 people, are available for stays of up to three nights and can be booked via Airbnb. Even with the extreme winter conditions, minimal daylight and sub-zero temperatures, cottaging (often in cabins without electricity or running water) is an essential cultural practice in Finland. 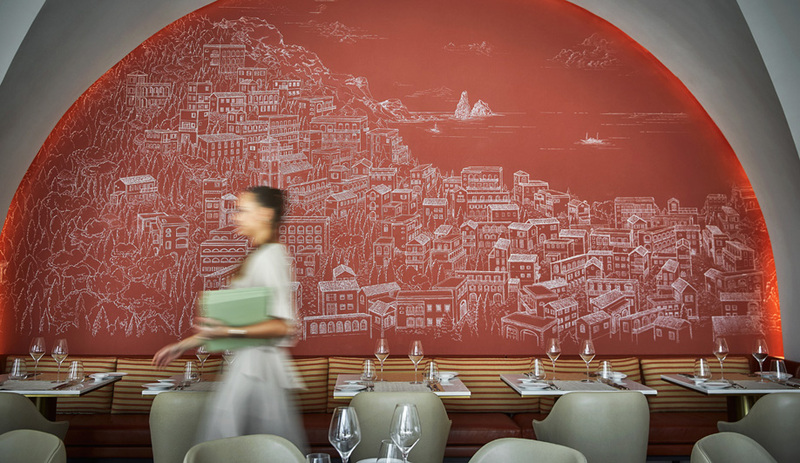 “The importance of interiors takes another significance. 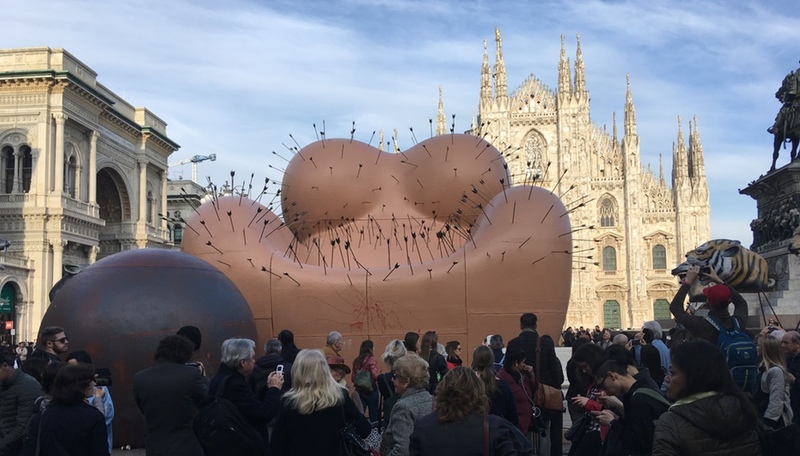 Even in a cabin, everything needs to be as beautiful, functional and comfortable as possible,” Toledano says. Linda Bergroth, a Finnish-born designer who works in Helsinki and Paris, was the creative engine behind the urban cabin installation. Employing design strategies steeped in a Nordic love of pragmatism and natural materials, Bergroth used spruce to create slatted walls for the six minimalist cabins, which contain only simple bed frames and tables of the same material, and a few accessories. Sliding barn-style doors, hung from a track, provide privacy. These sensibilities extend to each of KOTI’s design objects, made by Finnish creators hand-picked by Bergroth. Lapuan Kankurit, a century-old linen and wool-weaving mill, supplies the special edition bed linens and complimentary robes and slippers. 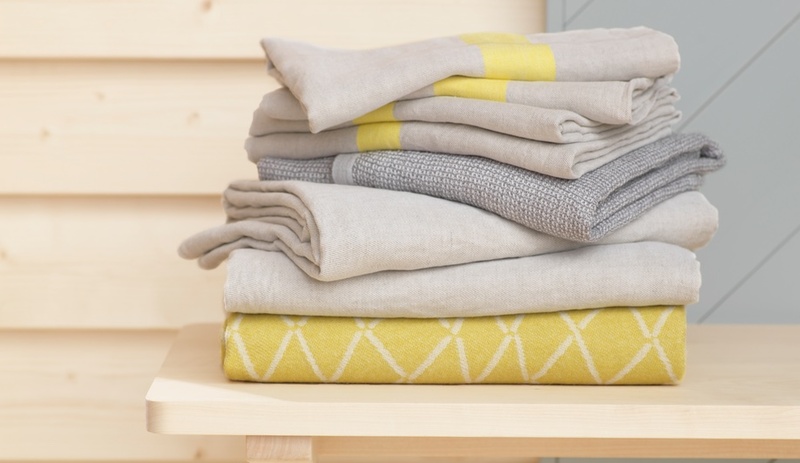 “Linen is one of the only plants suitable for weaving that grows in Finland and for the last 100 years, Lapuan Kankurit has played a key part in keeping traditional weaving alive in the north west of Finland,” Toledano says. 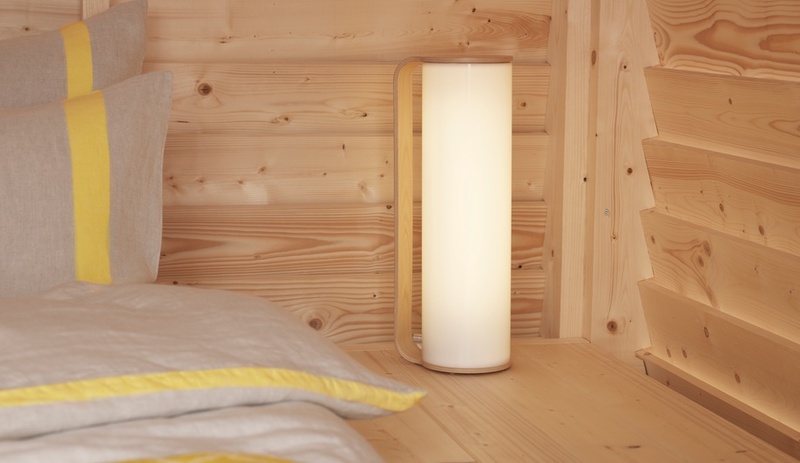 Bright-light lamps by Innolux radiate a morning glow through the cabins, capturing another narrative of life in Finland: turns of extreme darkness during Nordic winters have inspired innovative luminescence design focused on emulating natural light. Each morning, KOTI guests can enjoy strong black coffee brewed in covetable Piippu pots by Studio Kaksikko, while the traditional breakfast of rye bread, salted butter and berries is served on a communal dining table designed by Finland-based architects Mattila & Merz, in custom-made tableware from Finnish-French ceramicist Nathalie Lahdenmäki. Finnish films, documentaries and travel guides serve as in-cabin entertainment. Guests who book a KOTI experience will be able to use the cabins between 6 p.m. and 11 a.m. 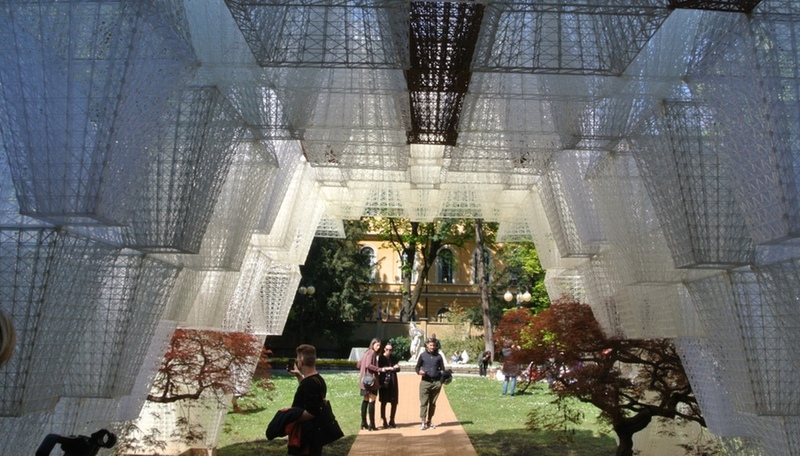 The installation will be open to the public between 1 and 6 p.m.
Running for 100 consecutive days, KOTI is one of several exhibitions for Mobile Home 2017, a joint venture of the Finnish Cultural Institutes of Paris, the Benelux countries, Berlin and London that explores different meanings of home. The Paris cabins will be accompanied by events including film screenings, concerts and pop-up restaurants. All four projects will culminate in a summertime showcase in Helsinki.